Looks like the animals are at large again! It's been two installments and two very different locations for these wild animals, with their hilarious gags and stupidity, what would be waiting for them in Europe? If I had to choose between, the ignorant Zebra, the fabulously stupid lion , a bunch of smarty pants penguin or and obnoxious king rodent, I think my favorite animal pal will be. Melman, voiced by one of my favorite comedy actors David Schwimmer is a very peculiar character in the movies, always panicking and doing stupid and unhelpful things. His height is an advantage to spot high places and troubles from afar. He is what some of us call, the lucky idiot, luck is always on his side, so sticking with him will be the best thing to do. 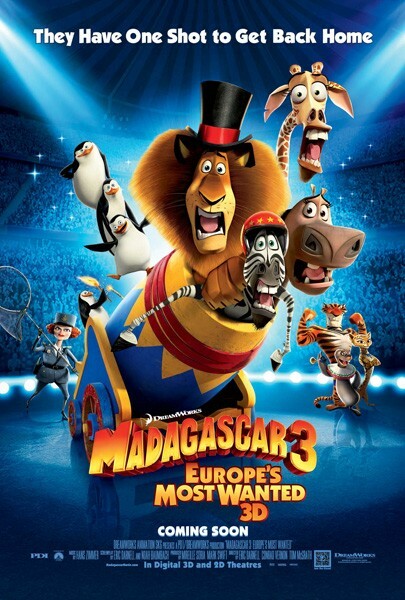 So if I were to choose any of the Madagascar animals to be my favorite pal. it will be Melman the Giraffe!